A new restaurant that offers an elevated take on traditional Midwestern cuisine has opened its doors in Logan Square. 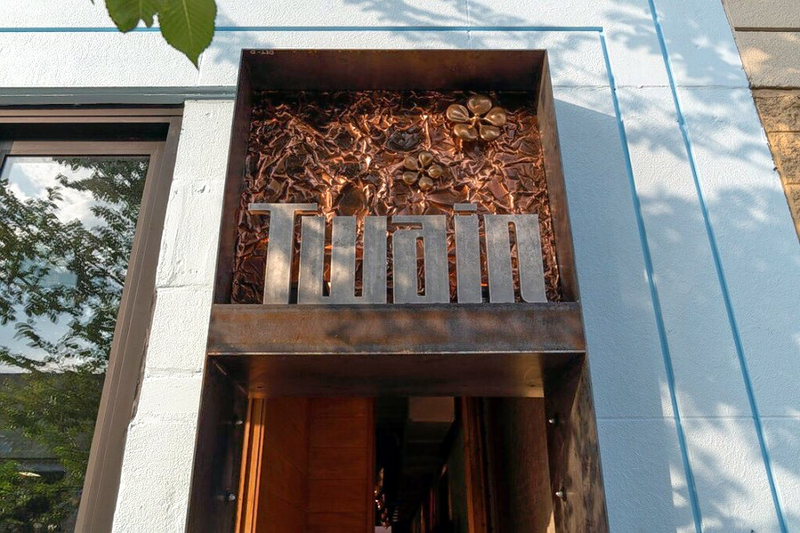 Located at 2445 N. Milwaukee Ave., the fresh addition is called Twain. Named for writer Mark Twain, the new spot comes courtesy of married couple Tim Graham, who serves as chef, and sommelier Rebekah Graham. Inspired by dishes from the 1940s-60s, the menu features Virginia spoon bread with cider-glazed pork shoulder; seared Minnesota walleye; Pigs in a Blanquette (braised pork cheek, dry-aged chop and a white sauce); and Clam Casino with chorizo and Parmesan. It's still early days for the fledgling business -- it has just two reviews on Yelp thus far. Peter G., who reviewed the new spot on Aug. 19, wrote, "Fantastic new restaurant in Logan Square serving unique takes on Midwest comfort foods. And save room for dessert -- especially the daily hand-cranked ice cream!" And Perry F. noted, "Whimsical music and unique, playful decor set the stage and greet you as soon as you walk through the door. Rebekah has curated quite a bar program, whether you prefer beer, wine or care to stick with cocktails through your meal. Chef Tim Graham's creations elevate far beyond grandma's recipes."